Due to a high demand for this topic, let us discuss various learning styles you are currently using for studying and practicing English. 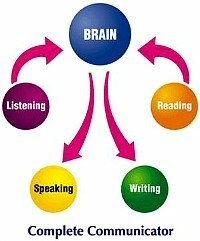 Take a quiz about your learning patterns, more precisely on your listening activities. One of the questions in the Quiz was about how you view language tests. Some people view them as very important in their learning, others fear them deeply. Of course, one can't deny the importance of testing the efficiency of the learning we all do - ultimately everything has to be tested. Let me show you the kind of tests students are subjected to in various countries, at different stages in their education. Check out this example here. Last but not least, if you ever find yourself uninspired or lacking motivation; or when your engine is not running on its full capacity, you'll find some helpful food for thought here.